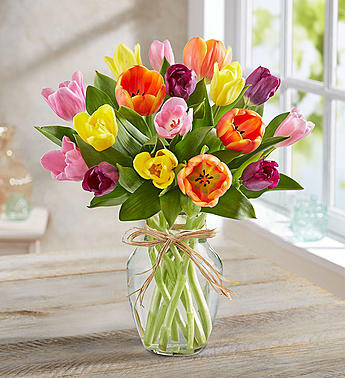 When cheerful tulips are blooming, Spring can’t be too far behind! 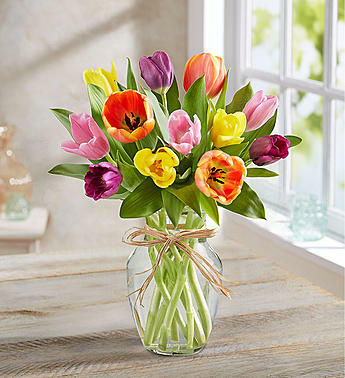 The colorful blooms in our bouquet are picked fresh, then hand-arranged in a clear vase tied with raffia to let their bright beauty shine through. 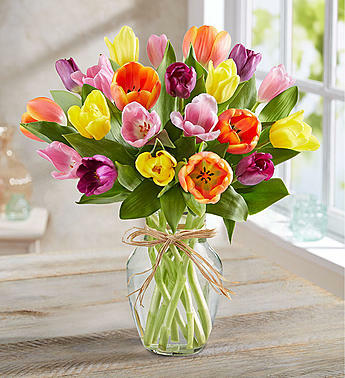 Send a smile today with this timeless favorite.